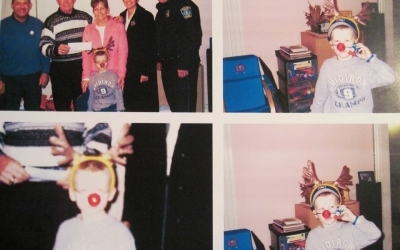 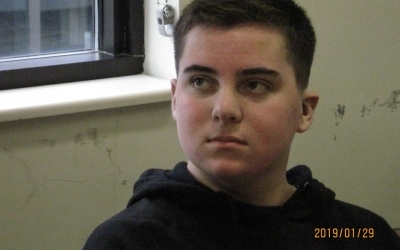 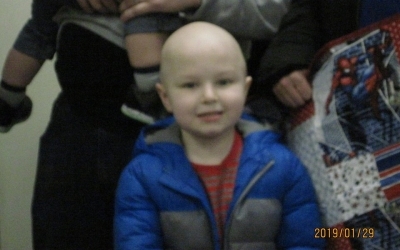 Cops For Kids With Cancer went to U-Mass Medical Center in Worcester and gave a $5,000.00 donation to the family of Patrick Halvorsen, a 15-year-old boy from North Brookfield, who has Gilo Blastoma. 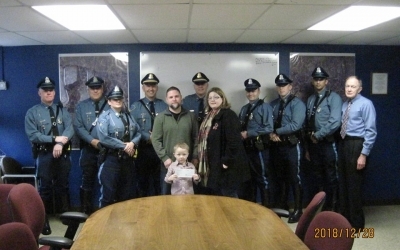 Cops For Kids With Cancer went to Tufts Medical and gave a $5,000.00 donation the family of Romeo Armey a 2 1/2-year-old boy who lives in West Bridgewater and has A.L. 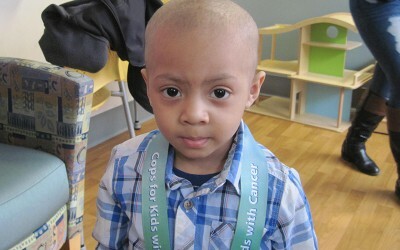 L. Cancer. 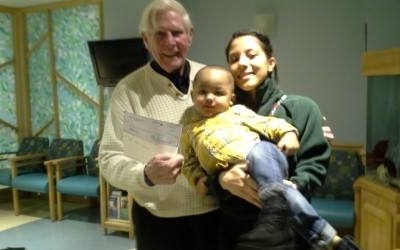 In photo left to right retired Chairman of CFKWC, Bob Faherty, mother Marie, and Romeo. 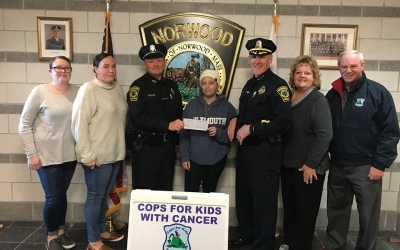 CFKWC went to Norwood Police Department and made a donation to Natalia Donnelly and her family. 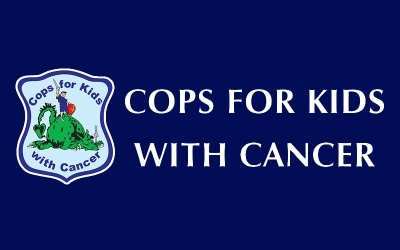 Left to Right: Natalia's Aunt, mother Jean, Officer Paul Murphy, Natalia, Chief Brooks, Maura Flynn and Mike Weir of CFKWC.